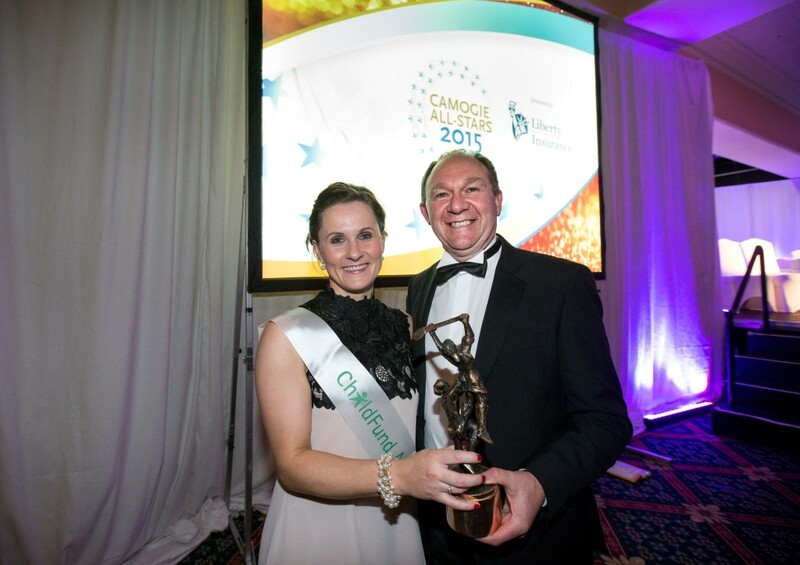 Hundreds of guests gathered in Dublin for the most prestigious event in the annual Camogie calendar – the 2015 Camogie All Stars. It was a great night for the sport of Camogie but a great night for ChildFund too..
Cork and Galway were the big winners on a glamorous night in the City-West Hotel Dublin, as the 2015 Camogie All-stars were honoured. The black-tie event was ably hosted by rugby legend Brent Pope in front of hundreds of guests, including ChildFund Ireland Chairman, Brendan Kenny. It was a particularly proud day for ChildFund with two of our Camogie Ambassadors picking up the hugely coveted All-Star awards. Galway’s Sarah Dervan and Cork’s Aoife Murray were on hand recently to help launch the ChildFund Ireland & Camogie Association Dream Bike campaign. along with our other two ambassadors, Fionnuala Carr of Down and Wexford’s Mags D’Arcy. Camogie stars on their bikes for ChildFund: Pictured (L-R) Sarah Dervan from Galway, Fionnuala Carr from Down, Mags D’Arcy from Wexford and Aoife Murray from Cork. It was fitting therefore that ChildFund, represented on the night by Chairman Brendan Kenny, be on hand to celebrate the achievements of Camogie’s best players of 2015; to acknowledge the skill, and excellence of our Ambassadors (four of the biggest stars in Camogie!) – and in particular, of the two award winners on the night Aoife Murray and Sarah Dervan. Huge congratulations to the girls, and no doubt our four Ambassadors will be in firm contention once again when next years All Star nominees are announced! ChildFund Ireland is proud to be the Camogie Association’s Charity Partner of Choice. The first fruit of this partnership is the Dream Bike appeal. The fundraising imitative seeks to provide bicycles to girls in developing countries who face long, debilitating, and sometimes dangerous journeys to school. Just €100 can provide a girl with a bike and a means to get to school safely, ensuring more regular attendance, and the chance to fulfil her educational potential. 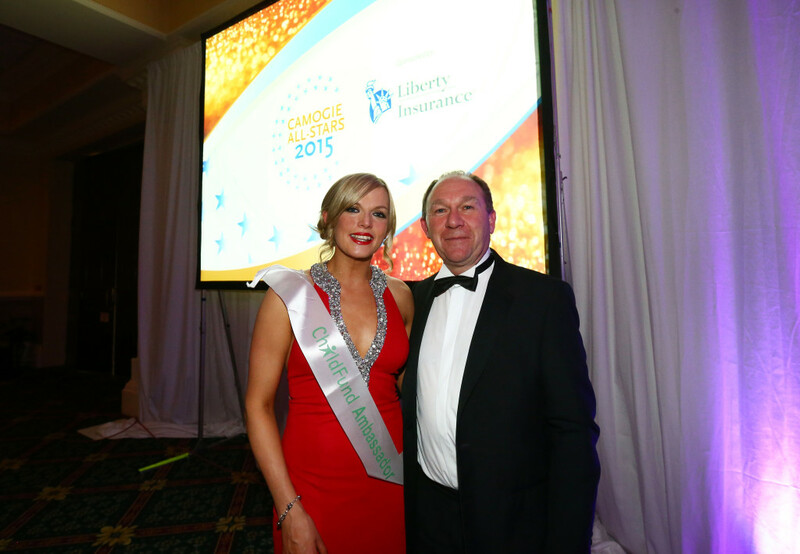 Thank you and congratulations once again to all the nominees and award winners in the 2015 Camogie All-Star Awards.